" Famous for wearing out rapidly, early silk and brocade shoes from the 18th Century weren’t very long-wearing without protective overshoes. 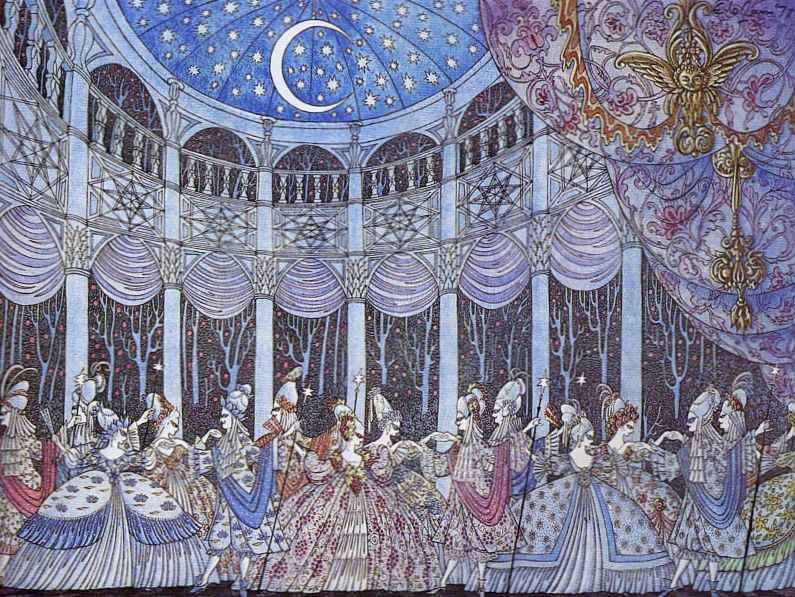 They were straight-lasted (meaning no left or right) and skinny, quite an uncomfortable mix"
The curse of the Twelve Dancing Princesses is rather ambiguous, as we see in related tales from around the world. On the one hand it seems like endless partying would hardly be considered a punishment for teenage girls, and in the Grimm version there don't seem to be negative side effects other than wearing out shoes quickly. Some versions go into more detail about the underground kingdom and the evils that lurk there. But maybe when you think about having to dance in extremely uncomfortable shoes all night, every night, it really does seem more like a curse. 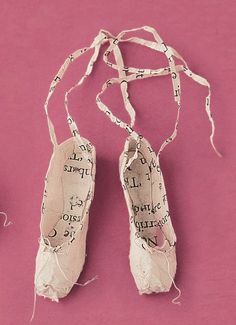 This image below of paper-thin shoes makes me think of fairy tales in which dancing in certain shoes is a punishment-the Queen in Snow White in her red hot iron shoes, Karen in "The Red Shoes," Giselle and the Wilis in the ballet "Giselle." 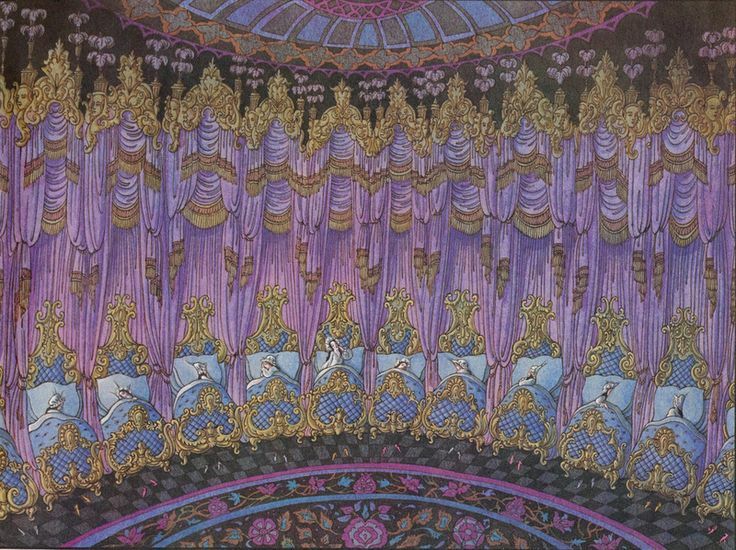 Or even a Hungarian version of "Twelve Dancing Princesses" in which the Princesses fly on brooms to Hell and dance on a floor full of razors! And I have danced a pair of ballet flats to shreds in one night once. It was my first time ever contra dancing :) Also the time I finally understood this folktale. Tes i like this,do they go to the world of sleep,over the river? ? We have 12 senses in all,the sense of life of thought of movement of balance to name a few additional ones to our 5.